We have just recently submitted our portfolio for assessment to the Millie’s Mark panel. We underwent a through audit and risk assessment of all our first aid and health and safety policies as well as our staffing and team training. The process was very robust and we needed to showcase lots of our processes to the assessor. Our information in the portfolio is now being intensely scrutinised to see where whether we will be allocated the Millie’s Mark Award. We have always taken our health and safety very seriously and the safety of the children is paramount to us. 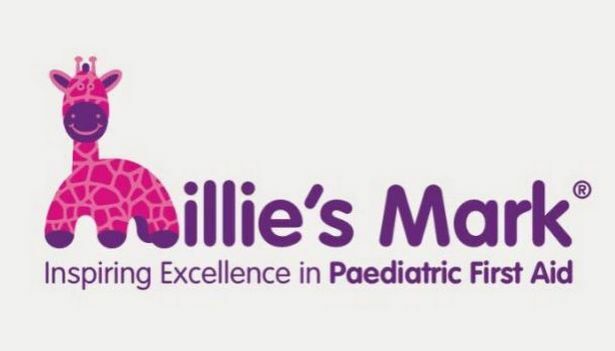 We have always aimed to have all team trained in paediatric first aid and this is part of the Millie’s Mark criteria. Our portfolio will hopefully have been assessed in time to be put forward to the panel sitting at the end of May and we looking forward to sharing more news with you then.